“In the summer time, when the weather is fine…” Yeah, almost too fine: I don’t think I have stopped sweating for about two weeks now, if not more. After the summer of awful weather the Alps experienced last year, the locals are reluctant to complain. However, despite the weather being great, if it were only 10 degrees cooler – mid to high twenties rather than mid to high thirties – it would be fantastic! I am waiting for an impressive storm to hit us, clear the air and restore the temperature to more bearable figures. It’s taking its time and producing some rather feeble, drizzly efforts in the meantime. 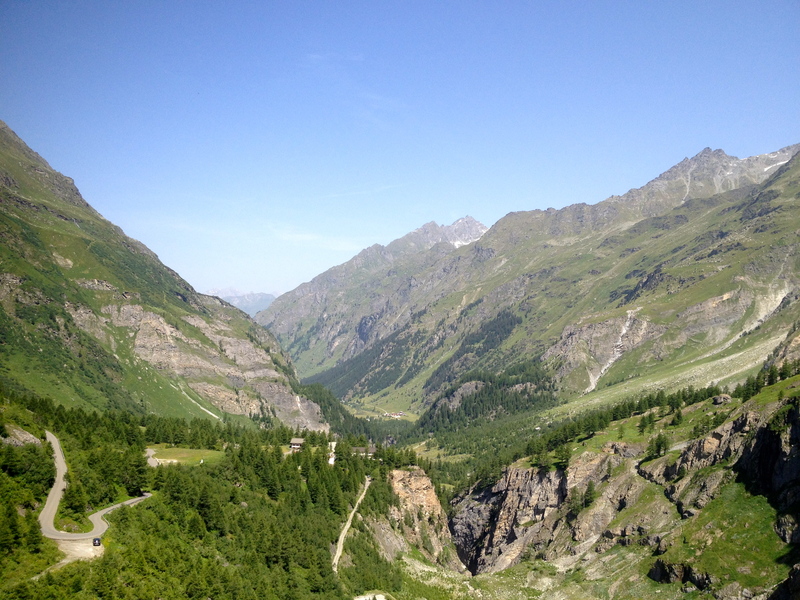 This is in Verbier, where I am working this summer for Altitude Summer Camps as an English Teacher. I am gathering other odd jobs to help make some pennies, as well as testing out some Personal Training skills on a couple of brave volunteers. Hopefully their progress will follow on a post later on in the summer. 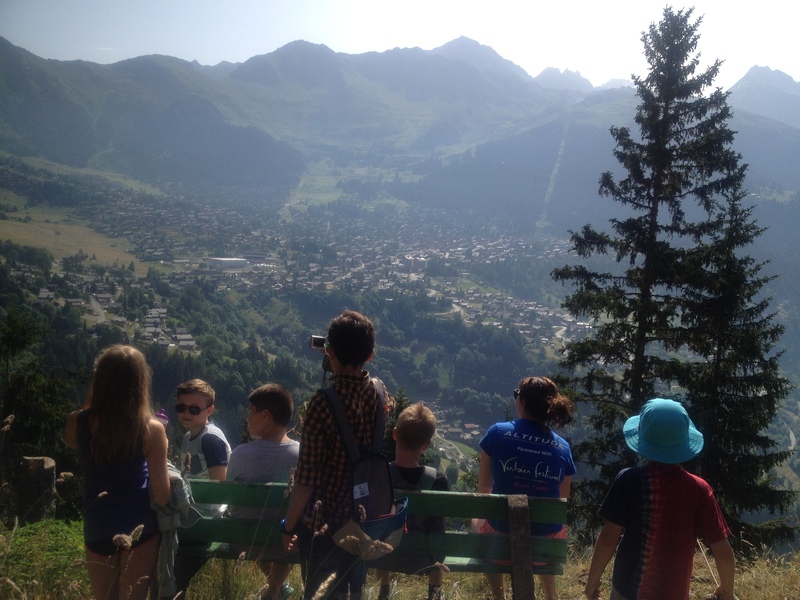 Our students on a walk to Saint Christophe looking towards Verbier. Describing nature was the topic of the morning – hot & hazy! Kim, my housemate for the summer, posing in front of our view at work. I have found training over the past few weeks a struggle. I came down with a bout of tonsillitis upon arrival in Verbier, and what with the heat and a slightly dodgy hip/glute/leg (I’m not sure what’s going on but ice and stretching seems to keep the pain at bay, along with avoiding any steep runs or cambered terrain), I have suffered with heavy legs, slower times and general frustration at not being able to train properly. This week has been much better though, and I am trying to take it a little easier in the lead up to the Geneva sprint triathlon on Sunday. Rest, however, has never been my forte. My new bike! A Scott Speedster which has been brilliant so far. My confidence when going downhill has soared. The clip-on shoes did result in a few slow motioned falls and some gravel rash, but it all has been worth the investment. It even put a smile on my face when my glands and tonsils looked like hamster pouches. 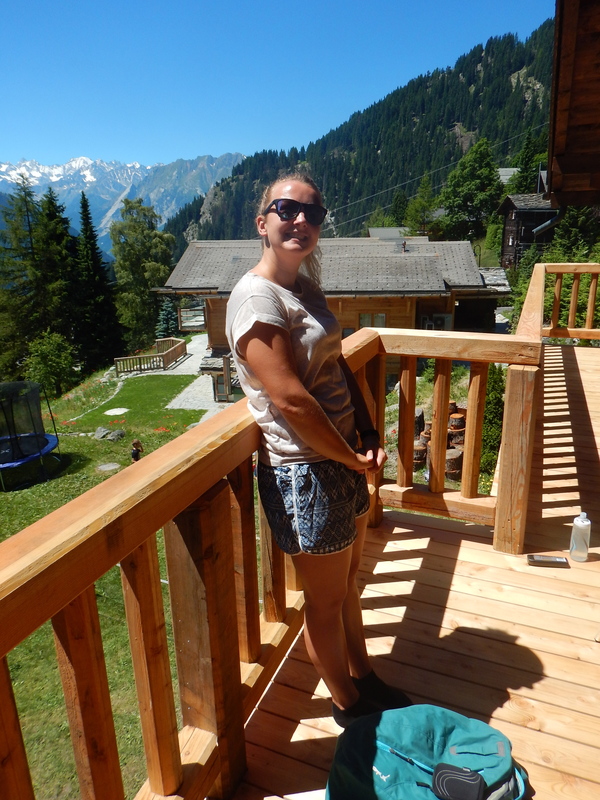 Sport, particularly mountain biking, road cycling, swimming, running, climbing, trail running and via ferrata, is rife in Verbier. As with many other ski resorts during the summer. There will be someone doing something every day. It is why I wanted to spend a summer in the Alps again; fit and healthy to make the most of everything the mountains have to offer. It’s also great to meet and train with people on similar ventures as myself. Not only to push myself more than I would have done alone (anyone who knows me well – I am competitive! ), but to also make training a social event, too. 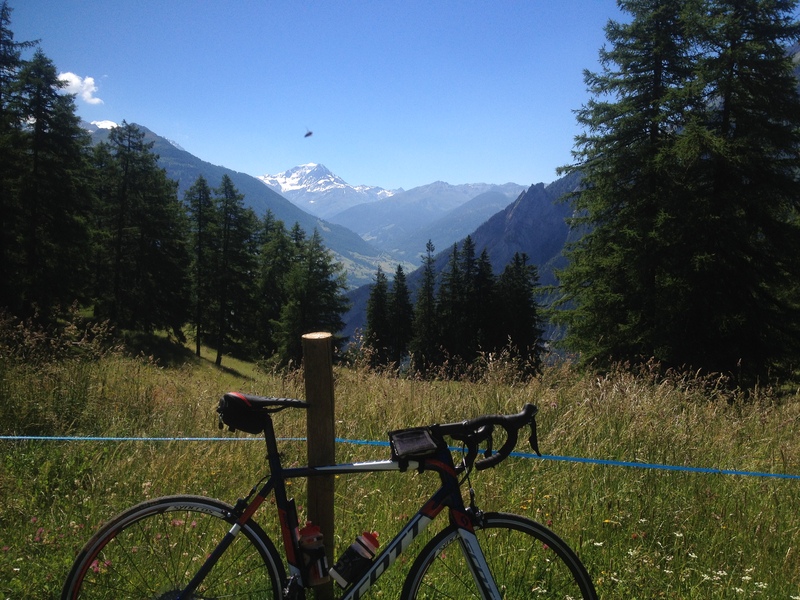 A cycle ride up Col des Planches, with a fly ruining the shot. 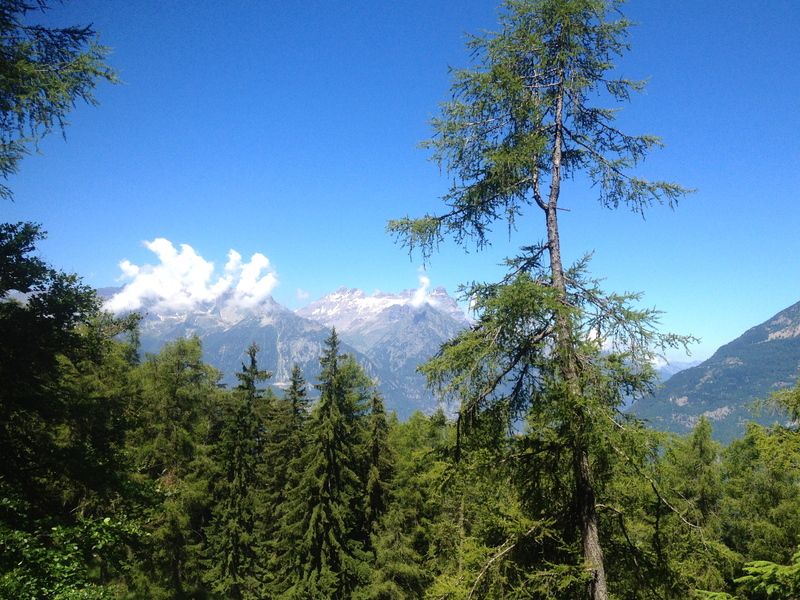 I spy Les Dents du Midi. We can see the other side of them from the chalet at ‘home’ in Les Gets. 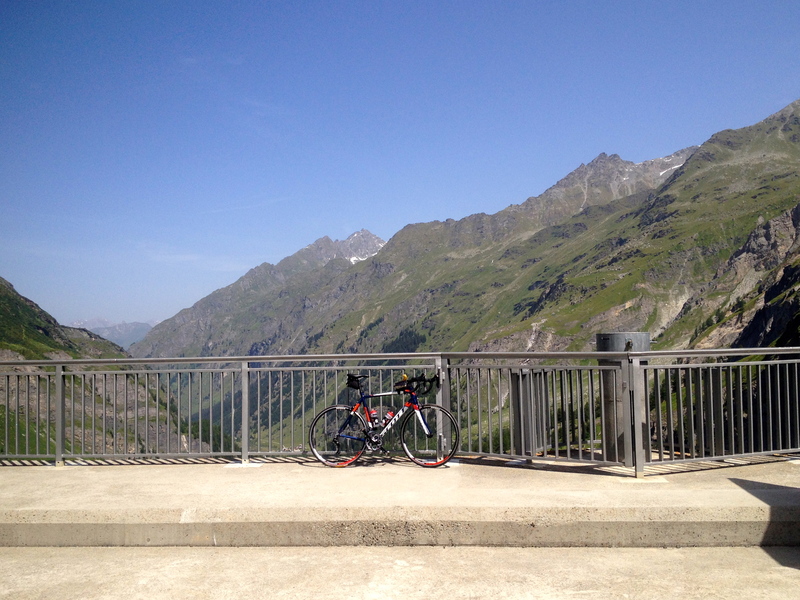 A cycle ride up to the dam at Mauvoisin – so very hot and I felt like a stinking cow with the amount of flies buzzing round me. 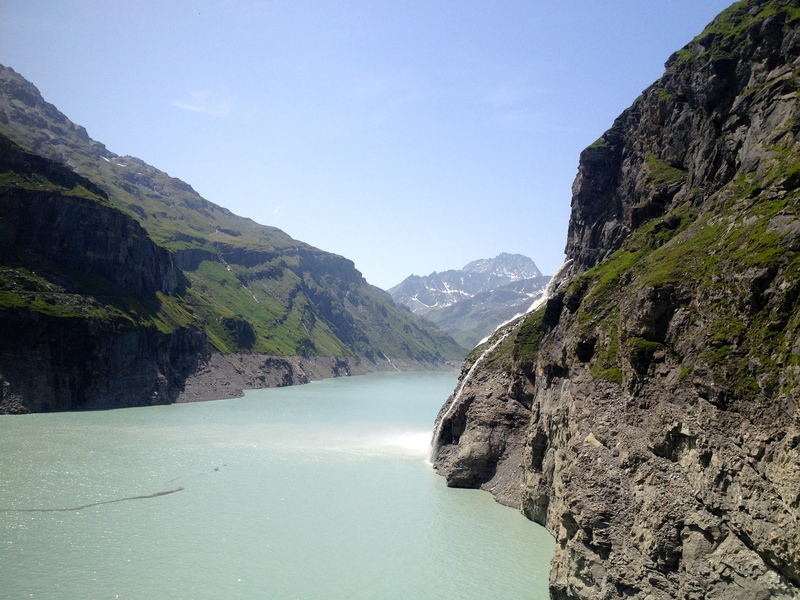 The view from the dam back towards Le Châble. The lake and a pretty cool waterfall coming out of the mountain on the right hand side. For those who follow my blog, you’ll be aware of the Tracouet Challenge that took place every Wednesday in Nendaz over the winter. The challenge was to skin up the piste, from the bottom of the gondola to the top, as fast as you could. 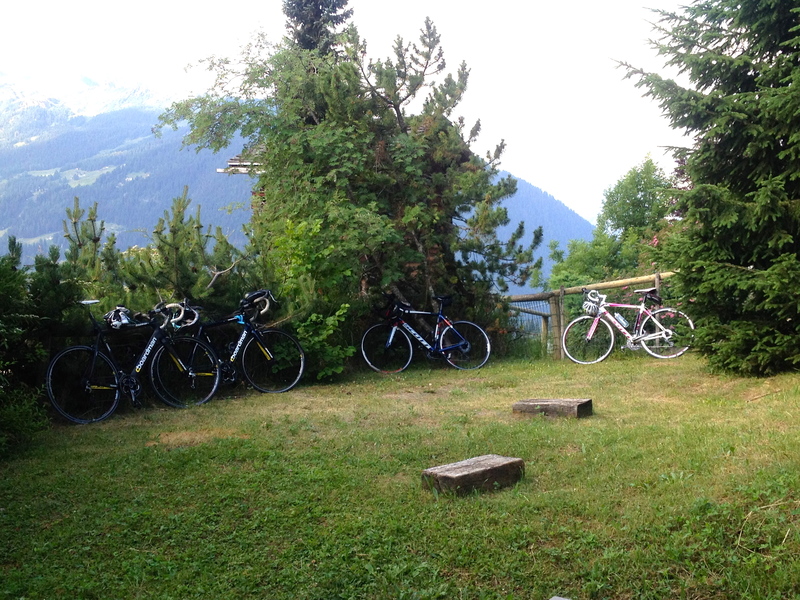 Verbier has a summer version; to cycle from Le Châble to Verbier as fast as you can. Unlike the challenge in Nendaz that took place on a weekly basis, this appears to be a daily one. And, one I am not keeping up with at all! There are a few road cycling ‘machines’ who tank up in about 35-40 minutes (roughly 9km over 700m of ascent). I have attempted it twice this week (it involves an early start just after 7am) compared to those who go up nearly every day. I’ve made it up in roughly 48 minutes, which isn’t bad, but I naturally want to be up with the best. It’s time to push myself and see if I can join the peloton by the end of the summer. The parking area for those commuting by bike. 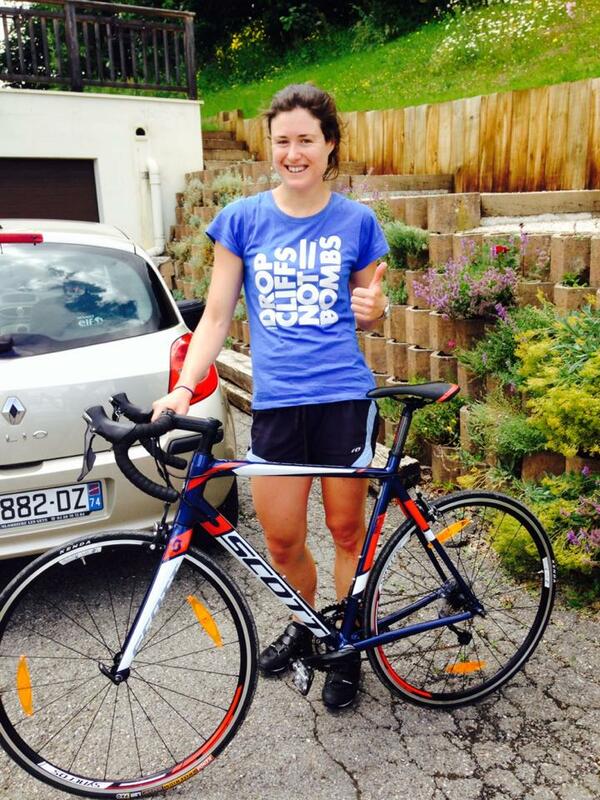 Tess is the fastest – “Queen of the Mountain”. Not just out of the girls, but pretty much everyone. I was flattered she took me on a fairly challenging bike ride for my first in the area. She claimed she only waited for 5 minutes or so at the top. I’ll add 5 to that. 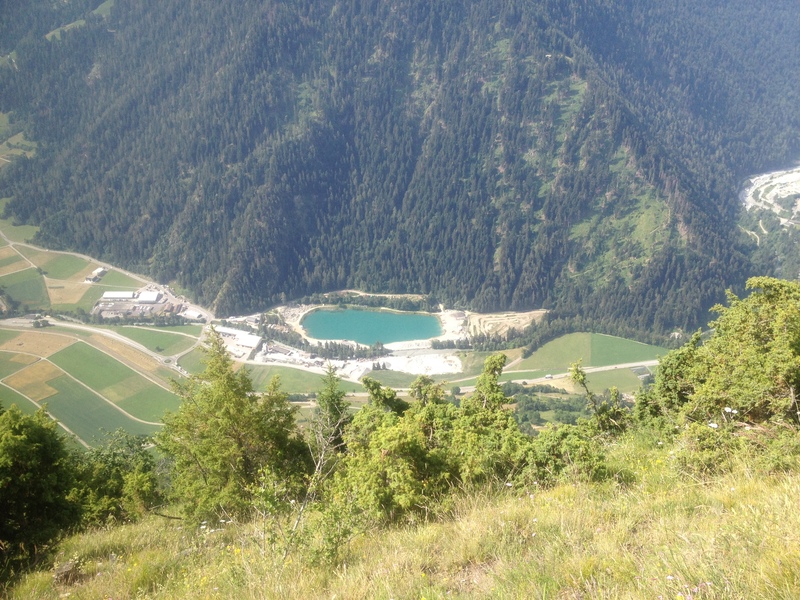 La Gouille (I think that’s what it is called) where I’ve been doing some open water swimming. Not ideal as fishermen get a bit angry. It is also an old quarry, so I am not sure the quality of the water is that great. It has alive fish in it so it can’t be too bad. Marmite stayed for two weeks. 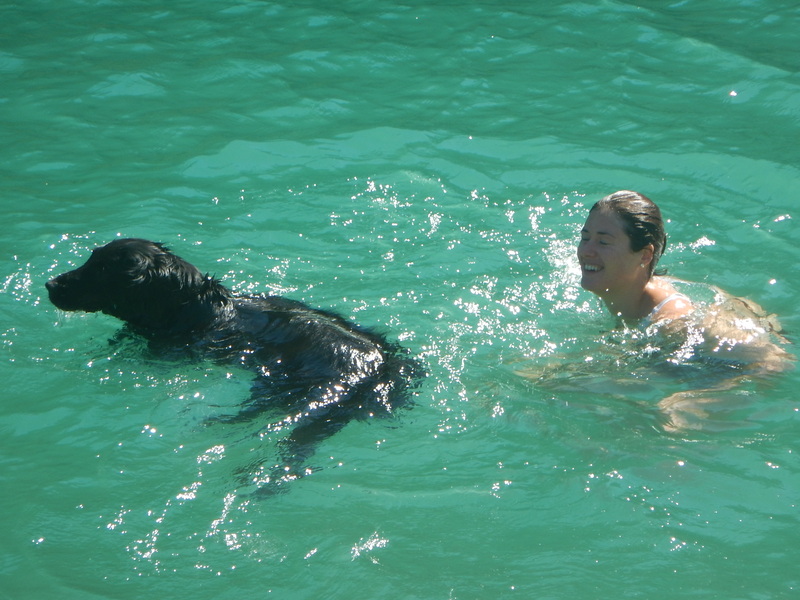 He was not a fan of our very hot flat, or the heat in general, but thought the swimming leg of a triathlon was something he’d excel at. Tomorrow I am off to the Montreux Jazz Festival to see George Ezra, which I am quite excited about. I’ve also enjoyed a couple of afternoons blobbing in the Verbier pool, eating ice cream and evening out some interesting tan lines. 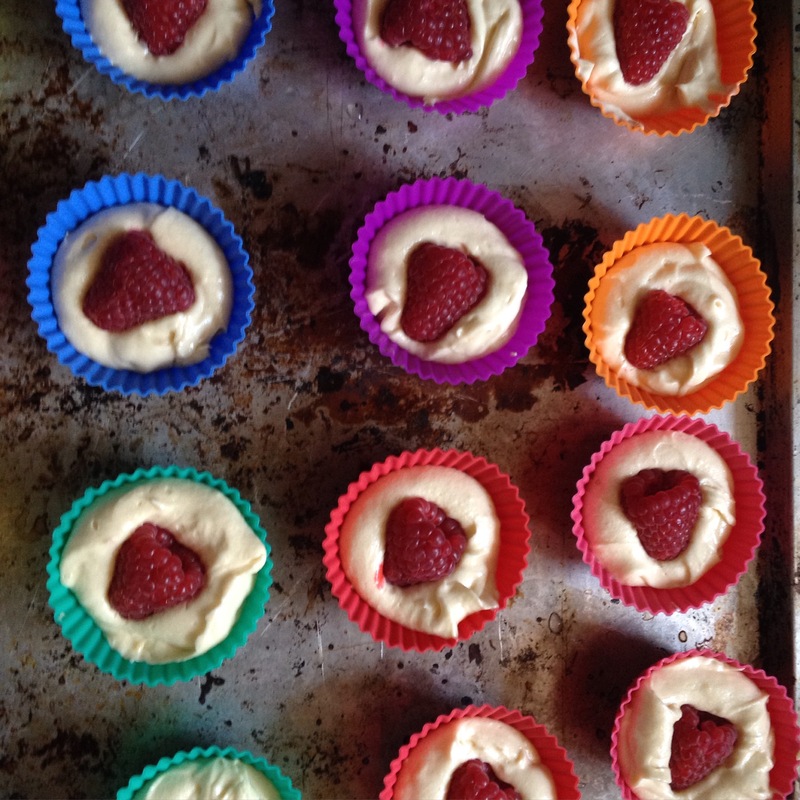 And, of course, despite eating a healthy diet the majority of the time, I have made time to bake some some sweet treats and enjoy some summer flavoured cupcakes. My goal this summer, above everything, is to get a balance of work, play, training, being healthy and having days of not being so healthy in a quest to be a happy and well balanced girl. I feel pretty busy, but so far, so good!